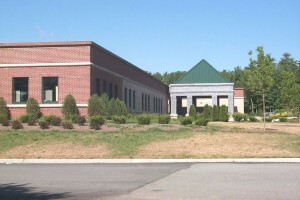 A one story Class A building, with brick and stone exterior. All modern HVAC, electrical amenities including upgraded security protection for computer facility. Current tenant utilizes 100% of building. Natural sub-division into two suites of 13,800 s.f. A 7 acre parking lot providing lighted, on-site parking for 650 cars, or a 5 spaces per 1,000 ratio for the entire complex of two buildings. Located in a residential neighborhood on a major route from the peninsulat to the Northgate residential area of the city. Situated two miles from the city center, an ideal location for a regional office or an administrative back office operation.